Members of my day house at PMC used to laugh that I always started with a ‘me’ statement. I think I do that to locate the issue at hand. Recent press coverage, for all that it may well be a misrepresentation, tells me that I must in future buy a petrol engine, because diesels are bad. I have spent some time trying to find out what is going on here, since we have historically been told rather the opposite. Bearing in mind that I have written at length on this general topic, essays 177, 162, 106, 104, among others on vehicles, I will attempt to restrict myself to the issues as perceived in Britain. Which appears to have made NOx the problem, not the fine particulate matter, PM2.5. As ever, the press—both broadcast and paper—goes for the headline over clarity. 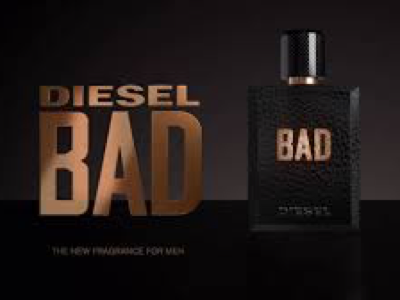 While each time I hear diesel being vilified we eventually hear ‘old’ attached to the descriptor (buried in the third paragraph or later, one hears the message repeatedly, "diesel is bad". As I just did. 1 Diesel fuel contains more energy per litre than petrol and coupled with the fact that diesel engines are more efficient than petrol engines, diesel cars are more efficient to run. Diesel fuel contains no lead and emissions of the regulated pollutants (carbon monoxide, hydrocarbons and nitrogen oxides) are lower than those from petrol cars without a catalyst. ... When compared to petrol cars with a catalyst, diesels have higher emissions of NOx and much higher emissions of particulate matter. So we have emissions issues, NOx, particulate matter, age, and a subsidiary task, to discover how bad one’s own vehicle is. I’m going to deal with that first, so as to set the scene. Question: How bad is my car (or yours)? Please note I got different figures the several times I did this; variability suspect, then, though it is as likely I chose different models in error. ‘Vehicle’ means emissions during manufacture, ‘fuel’ means emissions during fuel production. I consistently used (and do) ‘eco’ mode, 17000 miles per year. You need to do this for yourself. Euro Std 6 means NOx 42 mg/km, PM: 0 mg’km. To investigate this, see the RAC site. Quoting bits from there: The EU has pointed out however that NOx emissions from road transport “have not been reduced as much as expected. Since emissions in real-life driving conditions are often higher than those measured during the approval test (in particular for diesel vehicles)”. As the UK government pointed out in December 2016, road transport still accounted for 34% of UK NOx emissions in 2015. 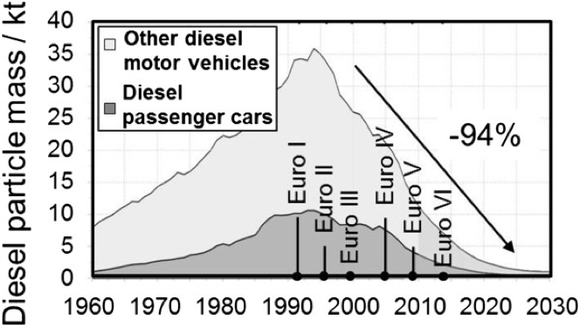 The rate of reduction in atmospheric NOx has slowed down due to the increased contribution from diesel vehicles. Over the same time, average new car CO₂ emissions have more than halved, going some way to meeting the target average of 95g/km by 2020. The sixth and current incarnation of the Euro emissions standard was introduced on all new registrations in September 2015. For diesels, the permitted level of NOx has been slashed from 0.18g/km in Euro 5 to 0.08g/km. A focus on diesel NOx was the direct result of studies connecting these emissions with respiratory problems. To meet the new targets, some carmakers have introduced Selective Catalytic Reduction (SCR), in which a liquid-reductant agent is injected through a catalyst into the exhaust of a diesel vehicle. A chemical reaction converts the nitrogen oxide into harmless water and nitrogen, which are expelled through the exhaust pipe. The standards have been steadily upgraded in Europe and I have no doubt this will cause a problem for Brexit negotiations – up to the point where we agree to agree with European standards on so many things, which will last until such time as we find things we intend to disagree over. I looked at Wikipedia for some help in understanding the terms. PN, for example, is a quantity of particles and I see 6x1011 as being very high, although that is a marked drop from 1x1012, and apparently quite a challenge to engine design. ⁷ In some cases, the concentrations in the exhaust to be recorded are considerably lower than the particle numbers in the ambient air. Euro 6 sets NOx at 80 mg/km for diesels but 60 for petrol engines, Is this a measure of what is achievable? As NOx from transport amounted to 46% of the total for the EU in 20135 (though I wonder if transport meant just road), it has been pursued for more regulation. A different source  said 15%, also quoting the commissioners. Are diesels being demonised? See here for an example of the several I found. Source ² tells us how wonderful diesel is as a fuel. On emissions, they say this: Introduction of ultra-low sulphur diesel fuels for both on- and off-road applications is a central part of the clean diesel system designed to meet near zero emissions standards. 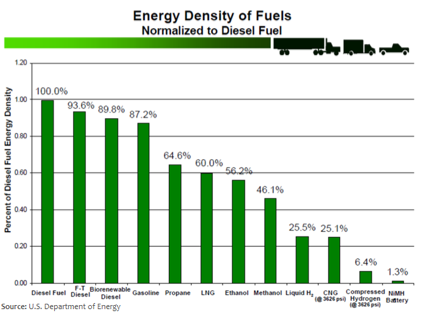 With the introduction of lower sulphur diesel fuel came the ability to use a number of exhaust after-treatment options such as diesel particulate filters (DPF), exhaust gas recirculation (EGR), diesel oxidation catalysts (DOC), and selective catalyst reduction (SCR) with the use of diesel exhaust fluid (DEF) that can be sensitive to the sulphur levels in the fuel. It goes on to encourage owners of ‘older diesels’ to retrofit their engines with these new technologies. I found measures of ‘reduction in particulate matter’ of 94%, (or 98% in another source). 94% reduction means what, quite? Is that from 100 to 6%? Or from 194% to 100%? Apparently, it is the wonderful one: diagram in evidence from ⁸. Which says that diesels have ‘fixed’ the particulate matter problem. Now we just have to apply that to all the engines we use. TfL ran some real-world tests (see P11 of source13) at speeds they thought appropriate to London traffic and found NOx figures ranging 0.1 to 1.1, not the 0.08 that are required to meet Euro-6; the petrol cars met the limits, the diesels all failed. It is proposed that there be a multiplier of the test results to reflect real road use, and the number suggested has been 1.5, where TfL’s figures suggest that 50 might be appropriate for the ‘wrong’ sort of diesel car. NOx emissions drop off sharply with speed and the TfL figures agree that this occurs with Euro-6 vehicles (but not Euro-4, see Fig3, P14, far below). However, the test figures for petrol are very reassuring, while those for diesel (Fig 4 far below), are disturbingly erratic and show that the Euro-6 cars’ emissions are surprisingly constant, trending downwards only a little but with the variability growing so that there are clearly some ‘Euro-6’ vehicles in breach of the Euro-4 standards when exceeding 30mph. Worrying, and demonstrably showing the need for significantly better tests; the VW scandal over testing is but the tip of an iceberg. 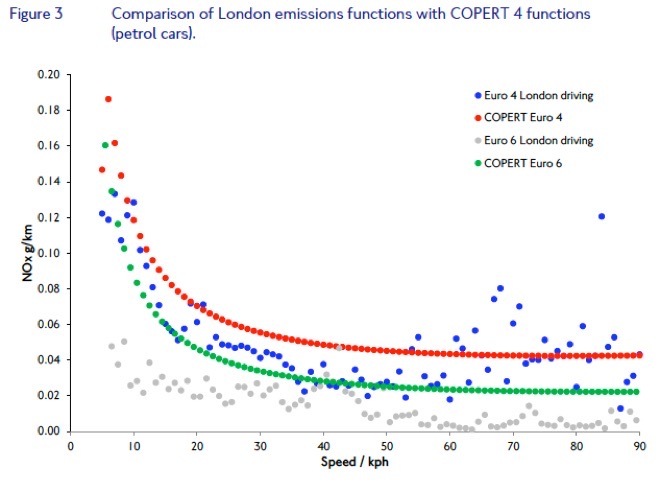 If you read the article take care to understand what COPERT4 is (it models how Euro 6 cars behave on the road in terms of emissions) and how it relates to Euro6. You can understand any plea for older diesels to be taken off the road. Manufacturers would like to sell more vehicles, politicians would like evidence that their policies have been effective, presumably we’d all like cleaner air. There are services to raise the standards on existing vehicles, of course, and we must applaud this – and anyone who uses such a service. Given the magnitude of the difference in emissions, one can argue that the sooner such rules are in place, the better. The political bomb is that the government has for decades encouraged the populace to buy diesel and now, apparently want us to not do so. So there are demands for compensation at being misled (think PPI). It seems to me that the obvious move is to legislate so that existing vehicles must meet (to be defined) modern standards or suffer restrictions (like not being allowed into cities); that new diesels must meet ever more exacting standards; that the penalties for failing to meet standards are raised (and real testing is done, perhaps at MOT). Since14 36% of vehicles out there are ≥10 years old (news to me), we clearly need an incentive to upgrade or replace those vehicles. If they were all new, there would be an 84% reduction in NOX, and 91% reduction in particulates. Development of raw particle emission using the example of a diesel passenger car, VW Golf, NEDC . Source 8 again. Diesel was supposed to be the answer to the high carbon emissions of the transport sector, a lower emitting fuel that was a mature technology – unlike electric or hydrogen cars. In the early 2000s the Blair government threw its weight behind the sector by changing ‘road tax’ (vehicle excise duty) to a CO₂-based system, which favoured diesel cars as they generally had lower CO₂ emissions than petrol versions. It inspired British car makers to invest heavily in a manufacturing process that most countries outside Europe have ignored. In 1994 the UK car fleet was only 7.4% diesel. By 2013 there were 10.1m diesel cars in the UK, 34.5% of the total. In an attempt to restore consumer confidence the car industry has produced leaflets (available at car markers and dealerships) as well as a “myth-busting” website. The campaign shows the growth of the diesel market and claims success for car makers in reducing emissions of NOx, particulate matter and CO₂. On average, real-world NOx emissions from the tested vehicles were about seven times higher than the limits set by the Euro-6 standard. 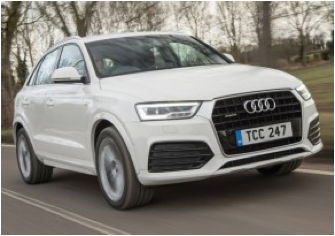 If applied to the entire new vehicle fleet, this would correspond to an on-road level of about 560 mg/km of NOx (compared to the regulatory limit under Euro 6 of 80 mg/km). An associated issue is that, as  points out, The carbon emissions tax regime currently levies £180 on a new petrol-powered Ford Mondeo. The rate for the diesel version is £0. What we are confusing is the old(er) arguments about CO₂ production with the new(er) fuss about NOx production. Among the arguments is that diesel emissions are only 14% of NOx nationally; the response is that location (really, proximity) matters, so that, while a coal-fired power station equates to 42 million new diesels, we don’t tend to walk as close to a power station as we do to a car with its engine running. Which, I suggest, is a very good reason for turning off the engine when stationary. Yesterday I ran past a line of mums waiting for primary school to finish. About half had their engines running, quite possibly to support the a/c (or the radio, since a similar proportion had windows open). But I chose to run the other side of the road, because even anosmic old me can detect poor air. note we went from me to me, as predicted at the top of the piece. I still wonder how bad my car is in absolute and relative terms, so I hunted a little longer; surely I’m not the only one who wants to know? Obligingly the Express wanted to point fingers at ‘bad’ cars, quoting a Which?16 report, though I took this from the Express, because they added the official limits. Just to be clear, Which? tested cars that should be meeting Euro5 or Euro6 standards under ‘realistic’ road conditions, specifically chasing NOx emissions and then aggregating results by manufacturer. The Which? report, as usual, reports what they found in no-nonsense language. Given the caveat they insert for VW group cars, I wonder what ‘realistic’ meant; the defeat device that VW applied to their cheaper (i.e. the VW brand) models came from the Audi engine management package, which notices when it is being run on rollers and this software was then tweaked to change engine behaviour to fit differently with the standard tests 17,18. The NYT18 explains which models of what cars were affected, which included all the 2009-16 3- litre diesels of Audi and VW and one of the Porsches. Funnily enough my Q3 is not in that list, though the Q5 and Q7 are. 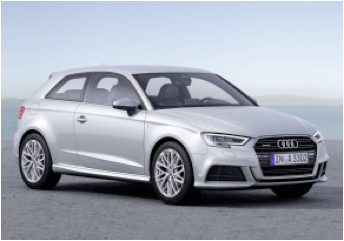 Trying to track down which Audis have the EA189 engine, the one that was allowed to contravene the rules, proved similarly difficult. It doesn’t apply to the Euro-6 models. Oh, relief. However, clarity is not easy to find, mostly because (i) one is no longer clear what source can be trusted (ii) so many sources are regurgitating content they have not checked for themselves. For most of these engines it is a straightforward software fix but no-one is admitting what that does to the performance; for the 1.6TDI EA189 engine there is also a flow transformer to be fitted ( Audi themselves ). Audi has a webpage that lets you put in your VIN (tho’ for me they told me what my VIN was when I put in the registration) and then tells you directly if you’re affected by the fuss. That doesn’t tell you how your car fares in real measurement. If you want to know about your car as a type, try looking at the EQUA site; they test an awful lot of vehicles. If you want your own vehicle tested, there is a philosophical problem whose source is the assumption that the MoT test is, and should be the (only) moment when testing occurs. But if you’re a sufficient shade of green you want to know that you yourself are compliant with the rules, and you might like to know the numbers, to see how well you comply – such as with the 2019 regulations (or even the Sept 2017 RDE regulations, RDE = Real Driving Emissions). I suggest you talk to your garage; they have the testing gear if they do MoT tests. However, I read that it is likely that you know more about the results than the testers – they’re only worried about pass/fail, not what is actually measured. There is an irony in the VW, Dieselgate, scandal. By the time they were found out, they had fixed the manufacturing problem. That doesn’t excuse what was done, but it may make the situation comprehensible. Do not make the mistake of blaming only VW, or only German cars; read the figures for yourself at Which? and EQUA; have a good look at the Jeeps and the Peugeots. This may mean that car engine sizes increase so as to reduce emissions; isn’t that odd? I wrote most of this on the Friday but found the Times covering some of the same story on Saturday, so added this footnote on the Monday. Small edits made ten days later. 5 http://ec.europa.eu/environment/air/transport/road.htm worth using as a stimulus to direct you to other research. 17 Times Saturday 13/5/17 magazine, “How VW conned the world” from Jack Ewing, Faster, Higher, Farther: the VWScandal. 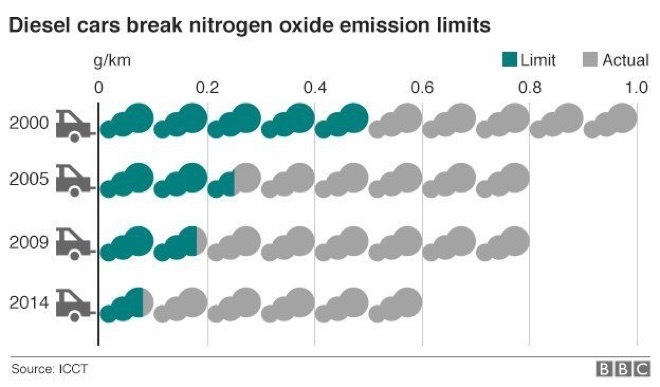 The calculator estimates total emissions of carbon dioxide (CO₂), nitrogen oxides (NOx) and particulates (PM10). The calculator also provides a breakdown of total emissions according to direct (tailpipe emissions) and indirect emissions (emissions generated during fuel and vehicle production). In cases where real-world RDE data is available, the estimates for CO₂ emissions have a high level of confidence. Where no RDE data is available, the estimates are based on the average discrepancy between official and real-world performance, and average correlations between emissions, driving style and road conditions. Next Green Car has partnered with Emissions Analytics to improve the NGC Emissions Calculator through the use of model specific Real Driving Emissions (RDE) data for NOx, CO₂ and MPG. This data is measured using portable testing equipment during real-world driving. Diesel engines in both passenger cars as well as commercial vehicles have undergone a rapid development in the past 30 years towards more efficiency, environmental protection and comfort. The technical developments responsible for the drastic emission reductions include all kinds of aspects ranging from the fuel to the engine’s combustion system down to the exhaust aftertreatment. The development of the engine control has also been a major influencing factor. While engine control used to be purely mechanical in the past, electronic control units are now used in most cases. Depending on the operating point, this permits the precise control of the engine components and the combustion cycle, something that cannot be done with mechanical means. These significant changes over the past decades must be considered when evaluating particulate emissions in Euro 1 engines in comparison to advanced Euro 6 engines. Nowadays, in-engine measures for optimizing combustion management permit the minimization of particles and nitrogen oxides at reduced consumption and higher output. Cooled exhaust gas recirculation effectively reduces NOx emissions. Improved injection systems with greatly increased injection pressure and multiple injections permit a better mixture formation and a reduction of the combustion temperature, thus reducing NOx and particles. Using adjusted boosting systems with charge air cooling, it is possible to implement increased boost pressures. They lead to a higher cylinder charge, resulting in a lower combustion temperature with lower NOx emissions as well as a leaner combustion air ratio and therefore lower particulate emissions. By optimizing the combustion systems with regard to the charge movement in the combustion chamber as well as the geometry of the combustion chamber, the mixture formation can be further improved. Overall, particulate emissions can be reduced substantially with the described in-engine measures without causing a negative effect on the particle size distribution towards smaller particles. Thanks to the introduction and improvement of exhaust aftertreatment systems, the pollutant concentration was also reduced considerably. The diesel oxidation catalyst (DOC) for example reduces the concentration of hydrocarbon and carbon monoxide emissions by nearly 100% after it has reached its operating temperature. Additionally, the DOC reduces the hydrocarbons adhering to the soot particles, while the portion of elemental carbon remains almost unchanged. The development of sulfates at the DOC no longer poses a significant problem for today’s mostly sulfur-free fuels in Europe. The remaining particles are effectively collected in the diesel particulate filter (DPF), whose filtering efficiency with closed design is near 100%, regardless of the particle size or operating mode of the engine. In addition to the closed particle filtering systems, so-called particle catalysts are also used in some applications, which have lower filtration efficiencies than a closed filter because of their principle. However, the particle number across the entire spectrum of sizes will be reduced here as well. SCR catalysts (Selective Catalytic Reduction) and NOx storage catalysts are used for NOx reduction downstream of the engine. The fuel grade has also improved over the past few decades. The permissible sulfur content in the period from 1965 to 2005 for example has dropped from 1% to 0.005%, which lead to an immediate reduction in particulate emissions. In addition to mineral oil-based diesel fuels, 1st generation biofuels (FAME, RME, hydrogenated vegetable oil) as well as gas-to-liquid are increasingly used. These generally have a positive influence on particulate emissions and do not lead to an increase in particle number emissions. In conclusion, the particulate emissions of advanced diesel engines can be drastically reduced in terms of the particulate mass and the particle number by using closed particulate filters. In-engine measures also lead to a clear reduction in particulate emissions. When measuring particle number and mass, we can see a clear correlation. Reduced particle mass emission is always associated with a reduction in particle number. Statements claiming that advanced engines are emitting a particular high amount of small particles were proven incorrect since they are based on measurement errors. There is no significant increase in small particles in the range of < 30 nm at the engine outlet because of advanced engine concepts. Particulate filters that were universally introduced for passenger cars with emission standard Euro 5 and became the state-of-the-art with Euro VI in commercial vehicles as well, are filtering particles in the entire operating range of the engine across the entire particle size range with high efficiency, which can be explained by the separation principle in the filter. With the introduction of Euro 6 for passenger cars, it was possible to further reduce the permissible emissions especially for nitrogen oxides; with the introduction of Euro VI, both the particulate as well as the NOx emissions were further reduced drastically for commercial vehicles. With Euro 5b for passenger cars and Euro VI for commercial vehicles, a particle number limit has been introduced additionally that drastically increased the requirements even further. Since the introduction of the exhaust emission standards in Europe, all pollutant components have already been reduced by more than 90%. Additionally, increasingly stringent measures are being introduced for monitoring emissions in real-life driving operation over the life time of the vehicle. Further steps in the legislation for reducing the emission limits are to be expected in the future. In addition, the focus will increasingly be on CO₂ emissions. Since the Euro standards first became mandatory for new vehicles in 1993, there have been successive reductions in the permissible limits for four legislated air quality pollutants; carbon monoxide (CO), hydrocarbons (HC), oxides of nitrogen (NOx) and particulate matter in the ten micron size range (PM10). The test procedure has also given rise to the official test of carbon dioxide (CO₂) emissions and fuel consumption used for vehicle excise duty and new car advertising. Of these, NOx and PM10 are the emissions of greatest interest because of their effects on human health and EU legislation limiting permissible ambient concentrations. Particulate emissions from diesel exhaust are increasingly well controlled, giving rise to new attention on particulate emissions arising from tyre and brake wear. However, NO2 ambient concentrations, and therefore NOx emissions, remain a significant challenge. Despite permissible limits of NOx emissions at type approval reducing significantly, in- service emissions have, in reality, not reduced by anything approaching that amount. For example, in 1993 the permissible limit for NOx emissions from a heavy duty diesel engine was 8 g/KWh. In 2009, Euro V stipulated 2 g/KWh and for Euro VI in 2014, the limit is 0.40 g/KWh. However, emissions measured at the roadside, or in the test laboratory, are frequently of a much greater magnitude. This is widely attributed to what are known as ‘off-cycle emissions’. This effect may be viewed as a failure of the legislation, since the type-approval tests are tightly prescribed and engine manufacturers are obliged to develop specific control strategies to ensure a satisfactory test. However, once type-approved, a heavy duty engine (or a complete car or van in the case of light duty vehicles) may well be operated to different duty cycles to those of the initial approval. Under these circumstances the engine emissions will be quite different to those seen at type-approval, frequently resulting in higher emissions of NOx. This has led to widespread observations of NOx emission levels much greater than the type- approval legislation would suggest might be expected. This phenomenon has been widely reported for Euro V heavy duty vehicles. In drafting the legislation for Euro 6/VI, steps have been taken by the European Commission to correct this problem. For heavy duty diesel engines, where the approval takes the form of an engine-dynamometer ‘bench’ test, the engine must conform to the required limits over a broader window of speed and load settings. This is followed up by a requirement to verify the emissions performance over a period of on-highway driving with portable emissions analysis equipment fitted to the complete vehicle. These new measures seem, at this early  stage, to be effective in controlling ‘off-cycle emissions’ much more successfully than before. However, they still do not guarantee universal compliance with the standard under all driving conditions. Authorities across Europe have a responsibility to work towards Limit Values for ambient concentrations of nitrogen dioxide (NO₂). A principal source of NO₂ is the NOx emitted from road vehicle exhausts, particularly from diesels. NO₂ is, for the most part, formed when nitric oxide (NO) present within the exhaust gases oxidises within the atmosphere to form NO₂. Thus, one way to control NO₂ formation is to reduce emissions of NOx and its constituent NO. However, efforts to reduce emissions of particulate by the use of diesel particulate filters on both light and heavy vehicles, has had the unintended consequence of increasing emissions of NO₂ direct from the vehicle exhaust (known as primary NO₂). This is caused by the action of catalytic coatings within the particulate filter, which are used to cause the filter to regenerate periodically. This trade-off between effective control of particulate matter and formation of an increased NO₂ fraction within total NOx emissions presents an additional challenge. 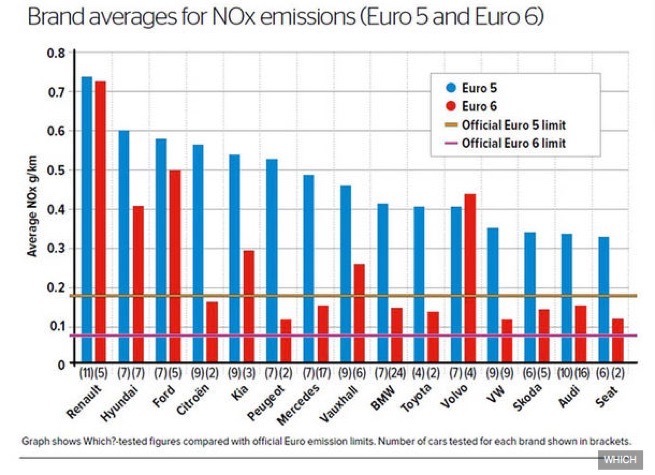 It can be seen from this analysis of test results that, in urban driving, Euro 6 petrol cars emit very low levels of NOx, consistently less than would be suggested by the COPERT 4 emissions functions. 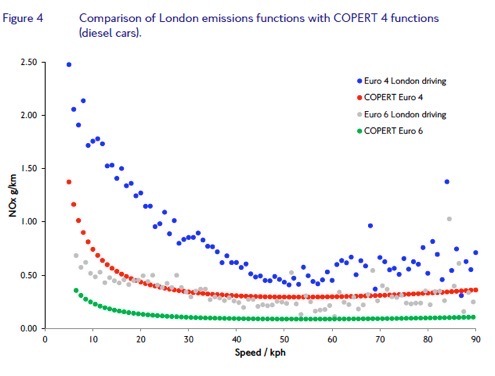 Diesel cars at Euro 6 also show a significant improvement over those at Euro 5, although the plotted emissions are higher than the COPERT 4 functions would suggest. Some models of light-duty diesel vehicles may require re-calibration to satisfy the RDE protocol for emission verification, depending on the conformity factors that are agreed with the European Commission. It is therefore extremely important that the level of conformity factor is set so as to be challenging and that the implementation date is not allowed to slip beyond the proposed 2017/2018. This is necessary to ensure that NOx emission reductions are maximised. TfL has now tested examples of heavy-duty buses (MLTB cycle) and heavy-duty goods vehicles (TfL Suburban Cycle) at Euro VI. In each case, the results have been impressive, with emissions of NOx significantly reduced from vehicles at Euro V. This is especially true at lower road speeds, which is clearly advantageous for urban and suburban areas. One area of concern, and for possible further research, is that of primary NO₂ emissions. This is the fraction of total NOx which is constituted of NO₂ at the point that it leaves the vehicle tailpipe. There are suggestions from some quarters that this may be more important when considering human exposure in urban streets than the emissions of NO (which later oxidise in the atmosphere to form secondary NO₂). Some diesel exhaust after-treatment systems increase the fraction of total NOx which is NO₂, despite reducing the total mass emission of NOx. There are discussions at the European Commission, although nothing is definite, about a potential primary NO₂ limit, which may even constitute a future Euro standard (Euro VII ? ).